I love how Destiny and Sunset are such different characters and I love it where Destiny goes to Sunsets house to meet her dad, Danny. This is about two sisters who don’t even know their sisters! Loved this book. Didn’t want to put it down as I wanted to find out more. 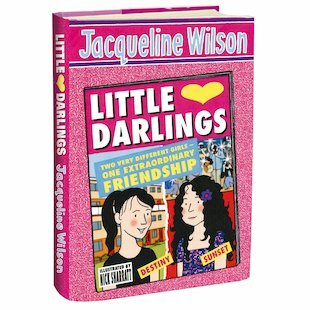 Jacqueline Wilson is THE author to go to when looking for a good book for young girls although to be honest her old stuff is a lot more interesting and meaning compared to the new. A story about 2 sisters who have totally different lives! One is living with her famous dad, the other with her mum.